The holidays are all about getting together with friends and family, right? Even though we have all year to get together, somehow we’re all compelled to make the extra effort to reunite this month. I guess we all feel a little more festive this time of year. If you’re anything like me, you have high standards about where to get together. Throw in just about everyone having some sort of diet restriction, and this can make choosing a place to eat and drink that pleases everyone stressful. And extra stress is not what any of us have on our holiday wish list. 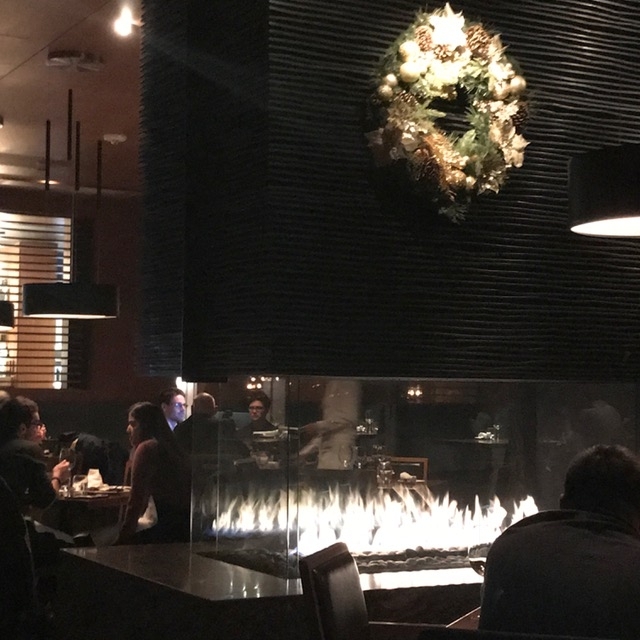 Which is why The Keg is a great spot to to celebrate the holiday season–there is something for everyone there. 1. The menu has so many choices. Yes, the Keg is known for steaks, but there are plenty of other choices, too, such as the pistachio-crusted salmon a few of my friends considered. A few of us wanted escargots to start, but we compromised and got the lobster au gratin special instead, along with the crispy cauliflower, calamari and baked brie (yes, my friends and I have healthy appetites!). When it came time to decide, for our mains, we did all end up going with steak (the New York strip loin I ordered was heavenly and cooked perfectly medium-rare). 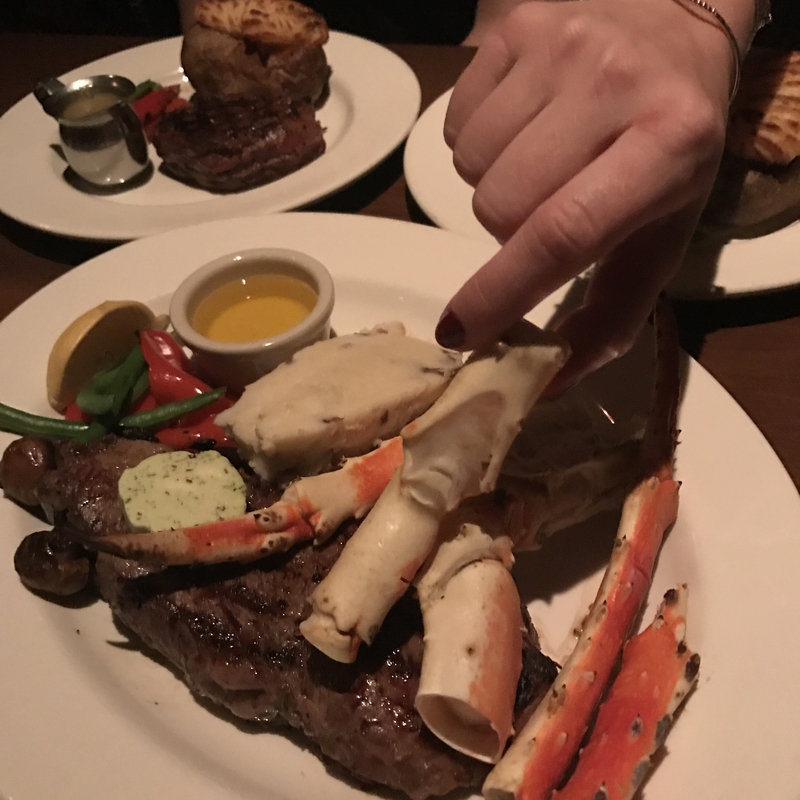 And because two of us were indecisive between beef or seafood, we each added some surf to our steak entrees: I went with king crab (so meaty and delectable) while my friend got the Atlantic lobster tails, which I wanted to grab from her plate, they looked so incredible. You know it’s a good dinner when the conversation lulls because you’re all devouring your food. People with restricted diets can easily find dishes to enjoy, too. The items that are gluten-free are clearly marked (the heirloom tomato and burrata sounds like heaven on a plate); so you don’t have to grill the server about what gluten-free options you have (although they, of course, will gladly answer your questions — we had many about the different cuts of steak and sauce choices). For vegetarians, you’ve got some options, too, but I think the one that sounds most delicious is the cauliflower “steak'; with chickpea and sundried tomato relish and asparagus. And by the way, if you’re counting calories, those, too, are clearly indicated on the menu. We also ordered several dessert to share. I was very into the Billy Miner pie (I love mocha ice cream!) whereas my friends really liked the creme brulee, which was incredibly smooth and creamy and which had a slightest hint of salt to balance the flavours. 2. 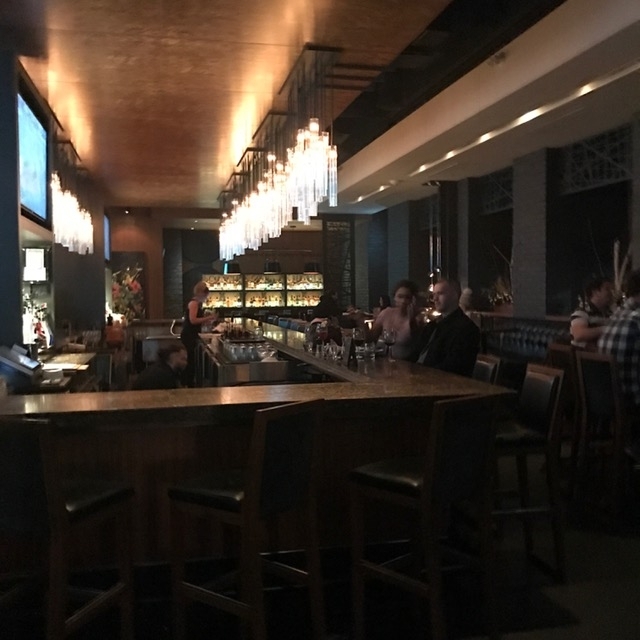 Let’s talk about the affordable wine and cocktails at the Keg. No word of a lie, the cost of the wine and cocktails at The Keg had all four of us (1) very surprised, and (2) planning on making it a regular place to meet for drinks. In fact, we ordered a bottle of prosecco to start (which I believe was $26), and then a bottle of Cabernet Sauvignon to enjoy with our meal. I usually only order a bottle if I’m feeling like splashing out but with the prices being so reasonable, it just made sense to order bottles. 3. The cozy atmosphere. While I’ve been to other locations of The Keg, this was my first visit to the location on King St. West in Toronto. It’s modern and dimly lit and it just feels cozy inside. There’s the sleek bar closer to the entrance; we sat in the dining room in a comfortable booth. The design aesthetic manages to be both refined and comfortable. I’d also say it’s a touch more masculine in design (the dark wood tones, for example), but it’s definitely a place a group of girlfriends would feel at home in as well. It’s a spot that is entirely appropriate for a client dinner and yet also somewhere you can go with a date or out for a fun evening catching up with friends. Sold on The Keg yet? Guess I’ll see you there. You’ll find me trying the escargots dish we didn’t end up ordering and sipping on some of that delicious, affordable wine! (And by the way, if you’ve got a secret Santa exchange you need to shop for, a giftcard to The Keg is something everyone can make use of — with several locations, and all of the reasons above, it’s a stocking stuffer that I think most everyone would enjoy). UPDATE: I’ve got a $100 giftcard to The Keg to give away! How to enter to win? 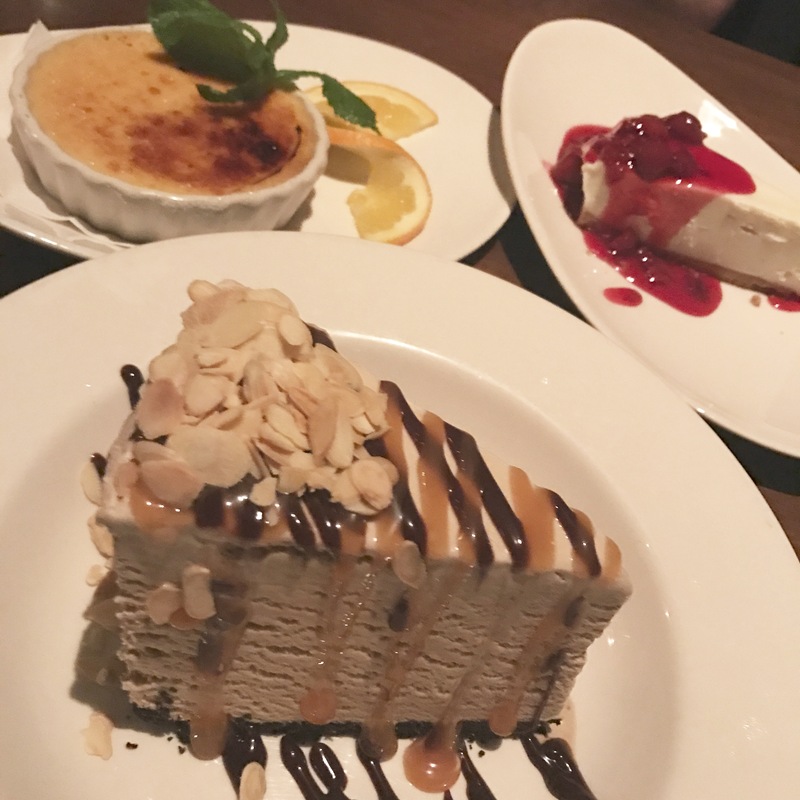 Comment on this blog post about what you’d order at The Keg! The giveaway ends at noon E.S.T. on Thursday, December 14th. For additional ways to enter, visit my Instagram! The winner will be chosen at random. I would order steak with baked potato and mixed vegetables. Love the Keg! I would have my usual prime – med rare of course, baked potato and Keg ceasar! Always steak, because I can’t cook a good steak to save my life! I would order their pistachio crusted salmon glazed with maple butter and their mashed potatoes! It’s to die for!! I’m a sucker for surf and turf, so a big classic steak and a lobster tail would be perfect. I’d order the surf and turf with a double baked potato as my side! 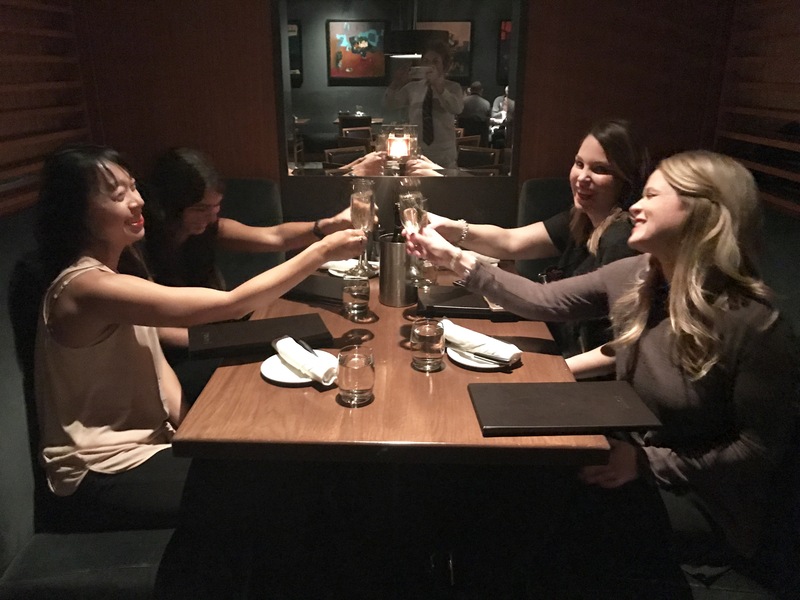 The Keg is one my favourite eats to meet up with friends for delicious food and a fun upscale yet casual evening! I’m thinking I would go for a martini, the baked brie and the steak & cajun shrimp for my main. Oh and I would most likely have the decadent brownie as well! Yum! I love lobster, so that’s what I’d order! A New York striploin for me please! Thanks for the giveaway! When I visit The Keg with friends or family I plan to to take my time an enjoy the atmosphere and all The Keg has to offer. I may start with a glass of White Sangria with a Shrimp Cocktail (low in calories) Then I plan to order Steak Oscar. I love bernaise sauce and asparagus. Of course no dinner at The Kegis complete without dessert. The mini Creme Brulee is so delicious or I may order the regular sized – after All I saved all those calories on the shrimp cocktail lol. I’d order a Sirloin classic meal with a wedge salad with blue cheese dressing. Baked potato and mushrooms on the side. Yummy!! I would order the Prime Rib Dinner at the Keg Steakhouse. This is our go to restaurant as a family. Always great food and service. Yes the Billy Miner is awesome, but I’m partial to the Creme Brulee as well! I would love to start with the mushrooms neptune – they are sooo good! I always order the double baked potato. It’s delicious! I would order the sirloin oscar. I would order the Surf and Turf, it is my favorite. I would order the Kegs delicious rib steak with mashed potatoes and veggies! Sweet Thai Chicken with a loaded baked potato! Definitely the prime rib dinner! 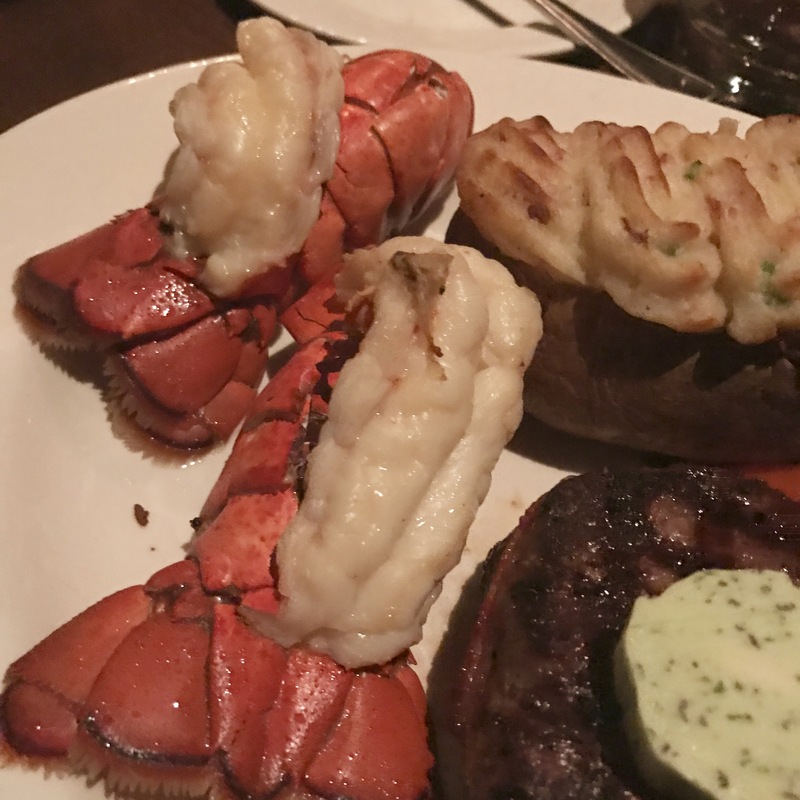 Gotta get the lobster and steak at the Keg or you’re just wasting your time! I would order and devour their juicy prime rib. After that the billy miner pie, I spent a good few minutes drooling over your pic of the pie. I’d probably get one of my fave things there – filet mignon, Keg Classic (with the caesar – yum! ), and a big ole glass of red, probably a Malbec! We don’t get there often but when we have been it’s a great family meal. They are so good with the kids there and the kids meals are fantastic. Something you wouldn’t expect from a high end steakhouse. I would get the bacon wrapped filet. I would order the chicken and rib dinner. So tasty. Thanks for the chance! I would order the Prime Rib Classic dinner and cheesecake for dessert! I would order the prime rib dinner. Mouth is watering as I type this and it is only 8:27 am! I love the Keg. I always have the Steak Oscar. I love the Caeser salad as well. Great atmosphere and we always have a great time! Oh how fantastic would a dinner out be! I would love stuffed mushrooms and a prime rib dinner with a Caesar!! Thank you – I would order the pistachio crusted salmon as I love salmon but rarely have it at home as two of my fusspots do not like fish. I would order the filet mignon with baked potato. 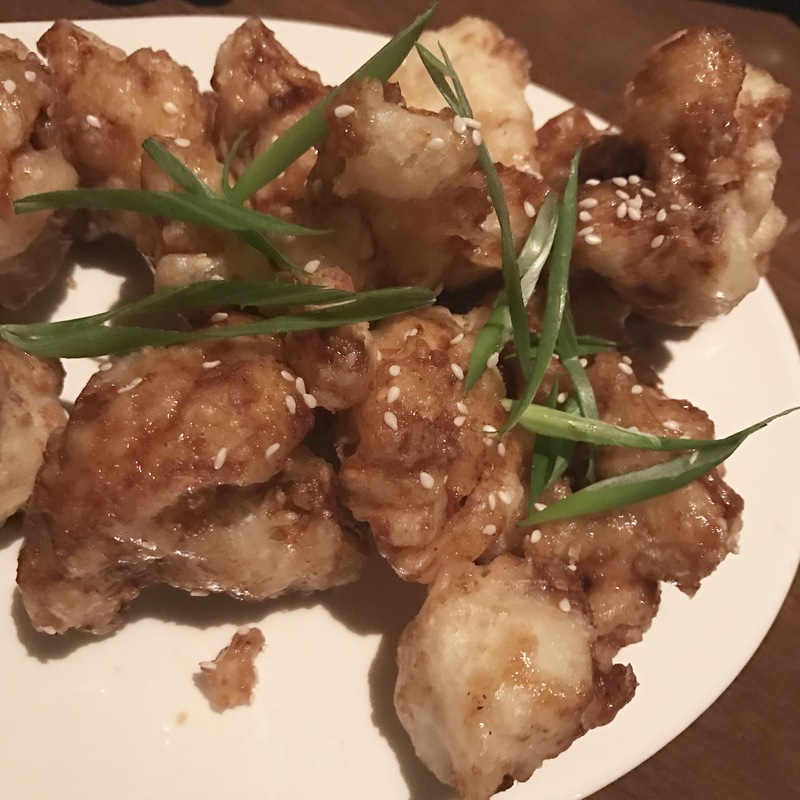 i recently ordered the cauliflower steak one day bc i was too full for meat and i was utterly SHOCKED at how delicious it was. it’s my new fav!! I would love to order the roasted chicken and fries. i love the filet mignon or the chicken! Ohhh,I`d treat myself to prime rib,,yumm! It would be wonderful to have a night out. I had the surf & turf last time I went with blue cheese crust and loaded potato. It was SO good i would order it again! What a treat!! I would order the baseball steak. Nice ans rare. I would order the classic sirloin dinner with caesar salad and garlic mashed potatoes. I would order a surf and turf combo… OH BABY! I would order the crispy cauliflower to start, sesame tuna for the main and finish with Billy Miner pie!!!! Always medium rare steak and Caesar salad or baked potato..yummm! I would order the surf and turf (lobster) and my hubby would order prime rib with crab legs. Thanks for the chance to win and Merry Christmas/ Happy Holidays. Looking at their menu online and I think I would order the STEAK & CRAB dinner. I woukd order vacon wrapped filet mignon!